See what our customers have to say... Select a product to filter testimonials. Sorry, there are no testimonials for this product at this time. Please check again soon. It’s a proven fact that nutrition is a very important factor in the performance horse. The science is there now. When competing, I believe Core Balance has helped my horses start strong and finish strong. Since starting my horses on Core Balance products, I have noticed a real improvement in their look and performance. You know what I’ll be feeding from now on! Core Balance is a vital component of many customer/trainer programs that have utilized Parker County Equine Aquatred for rehabilitation, returning the equine athletes to the performance arena, and conditioning services, keeping them performing. Over the years, I’ve been approached by several different equine supplement companies wanting me to endorse their products. 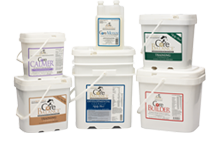 The Core Balance product line was the first one I’ve used that I could actually see and feel a difference in my horses. That’s why I feed my horses Core Balance. I have been using the Core Balance products on the good mare, One Time Choice, the 2013 NCHA Open World Champion. Because of Core Balance, she has experienced minimum soreness problems and stays in peak condition better than any horse I have ever ridden. Core Balance products are the best supplements available. They keep my horses energy level up and recovery time short. I need them to give their best and Core Balance helps them do just that. Having used Core Balance products for almost two years now, I find that the horses look better, fell better and recuperate faster from day-to-day training. After feeding the Core Balance products for years, there is no doubt that my horses have an edge in appearance, soundness and stamina. Core Balance will continue to be an intricate part of our program. I know how important nutrition is to the equine athlete. I have noticed that horses on Core Balance have less injuries, they respond quicker to my therapies, and generally feel better at the end of a show than they did at the start. Since switching our barn to Core Balance, we have seen nothing but positive results. Our horses have never looked, felt or performed better! We recommend the entire line of Core Balance products to anyone looking to gain championship results. When I ask my horses for their ultimate effort, I want to make sure I have given them the ultimate supplement... Core Balance. Being on the road with Core Balance gives me the cutting edge 365 days a year. Since I have put my horses on Core Balance, they have never looked, felt or performed better. If you want your horses to perform their best, you have to provide them with the best supplements. With Core Balance, I get that! My horses have never looked or felt better. For all the miles we have hauled our horses,their condition, endurance and soundness has been excellent. Many of them were being shown twice a day, many days in a row, and they look and feel fabulous. Thank you, Core Balance. All of our horses have been on Core Balance since its inception. Their products are superior in ease of use and quality. My horses look and feel great! 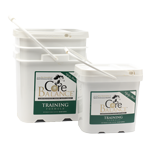 Thank you, Core Balance, for helping us keep our horses happy to perform at their best. From the foal to my best show horses, Core Balance gives me the peace of mind I have given my horses the most complete supplement on the market. Over the years I have used several supplements to enhance the nutrition and performance of our cow horses and cutters. They are bright and working great without being hot. Their coats are slick and shiny. The overall change in their appearance and energy is very evident. Core Balance has made me a customer for life. If you want to get the most out of your horses, feed Core Balance. Well, it’s been a little over two weeks since I last chatted with you while we were at Paso and when asked how we like the Core Balance products, I shared with you that I hadn’t truly noticed a difference. I could tell by the look on your face that you were baffled by my reply .... and understandably so. When a person puts their heart and soul into something and truly believes that what they are doing is right ... well, from personal experience .... it is so disheartening when others don’t feel the same. It is obvious that the Core Balance products are your "baby!!!" You suggested that I wait until I finish the tub we had before I make a firm opinion. Well, I need to tell you that finishing the tub will not be necessary. The change in Catlight in the last two weeks is amazing!!! He didn’t show well in Paso ... but that was due to bad draw and bad cows. There were a couple of moves that he made that were impressive ... but the style of work he displayed was inconsistent. One move he was diving into the cow, the next move he was deep and level. It wasn’t until the following weekend, while we were in Brawley, that we were able to truly see the changes. While Harry and I were viewing photos in Ted’s trailer, we went through all of the shows we had been to so far during the year .... AzCHA and SDCHA. Nearly every single pic of Catlight stopping hard and into the cow showed that he was way down in the front end. This has been a style that has been pretty consistent since the we first bought him....strong, hard stopping, with a big move (but usually lower in the front end). Mind you, not every stop is like that, but the huge majority have been. It wasn’t until we went through the photos that Ted had taken during the SDCHA show held 3/17 - 3/20 that we were able to see a consistent change in style. The photos showed Catlight, time and again, dropping deep in the ground and level. Comments from several of the trainers during the course of the weekend were positive as well .... Jason Taylor said, "I don’t think I’ve ever seen Catlight look so good." (Harry jokingly told Jason that Luke (Catlight) had finally realized that the rock grinders weren’t coming off.) This last weekend at Brawley was probably the best show of this year .... and granted, there are a lot of factors that come into play in our sport .... but it is so much easier to get the marks needed from the judges when your horse presents itself with style along with it’s strength and capability. So with all that I’ve shared with you, I am sure that you realize that we will be keeping our horses on the Core Balance products. 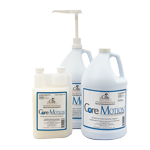 We’ve been feeding Core Balance products since November 2010 and our horses have never looked or felt better. Along with the Training Formula, we use Core Motion and Core Builder. The difference Core Builder made in 30 days time with our 3 year old is amazing! He bulked up and is so much stronger. 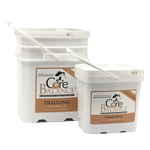 We highly recommend Core Balance to anyone looking to give their horses the best. 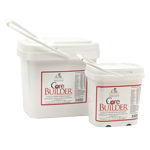 Since I’ve been feeding my horses Core Builder, I have seen nothing but positive results. They have bulked up considerably and have gotten much stronger in their workouts. The product has also produced multiple wins and placings. Overall, the horses have never looked or felt better in their years of racing, and stamina and recovery time is astounding! I recommend Core Builder for any trainer looking for a natural, winning edge! In an industry where early maturity is imperative, I use Core Builder to enhance the strength and physical development of these young athletes. My 3 year old gelding contracted strep myositis and quickly lost 400 pounds as a result of it. Three days after we brought him home from the vet, we started him on Core Builder. Thirty days later he had gained over 200 pounds! The weight gain was very impressive, and we were very pleased with the dappled, healthy hair-coat that came with it! His continued success on Core Builder enabled us to get him back in training a lot quicker! Whether it’s in the hospital setting or in the arena, Core Calmer is an effective supplement to alleviate anxiety and get your horse in the right frame of mind. 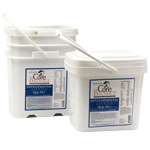 As an equine surgeon, Core Calmer has become an essential part of my arsenal by taking the edge off of horses that have sustained orthopedic injuries and require long-term stall confinement. 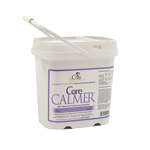 I have used Core Calmer quite a bit with a lot of horses. It has a subtleness that a horse can handle the added pressure I put them under while competing when they are on Core Calmer.